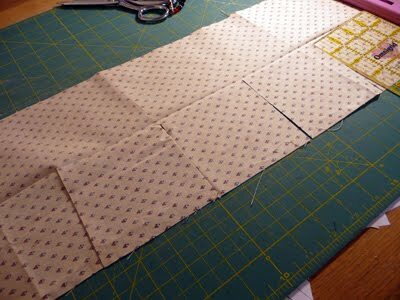 The length will not vary, so cut as many wof (width of fabric) as you need and sew them all together with a standard 1/4" seam allowance. The example is cut for 2" points. Fold the strip in half, wrong sides together, and press to mark the fold. Open the strip back up, and place it wrong side up on your cutting board. 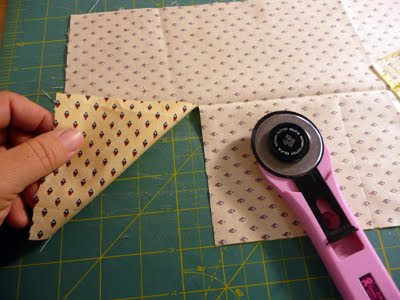 Using a ruler and rotary cutter, begin to make cuts across the length of your strip. Each cut will go all the way to the fold, exactly. 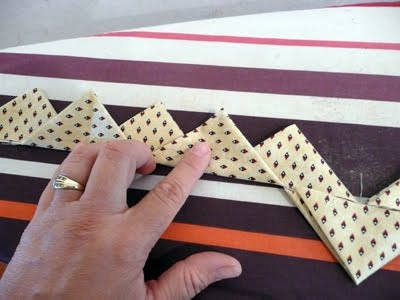 Continue across the entire length of your strip. 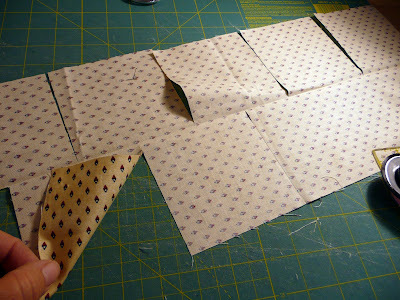 Turn the strip around (for easier cutting). 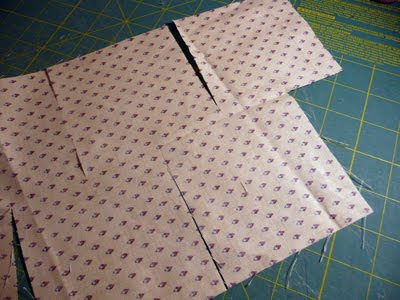 End the same way you started, by notching out the last 1/2 cut. 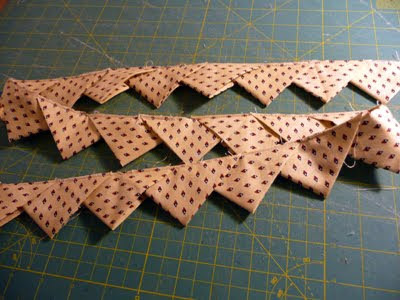 Starting on one side, fold all of the points in half diagonally, and all in the SAME direction. 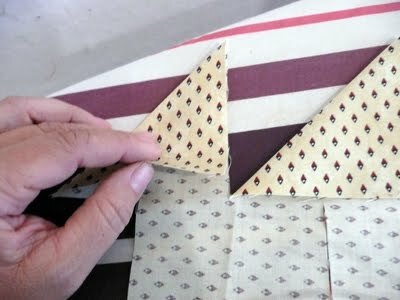 Repeat the same process for folding the second side, being careful to continue folding in the SAME direction. 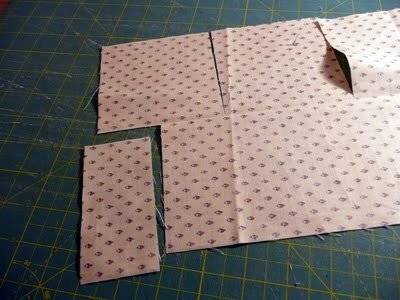 Note: if you are working with a really long strip you may want to fold both sides simultaneously working your way down the entire length. 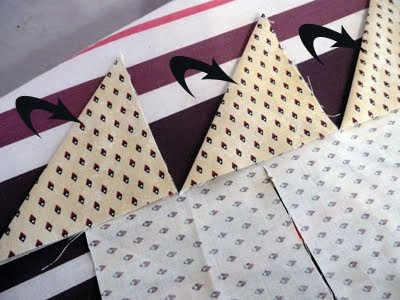 Now you are going to fold each triangle in 1/2 again. This time you will fold everything in the opposite direction as before. 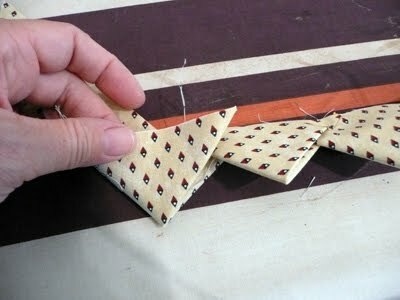 Work your way down the entire length, folding it in half and pressing it with a hot iron. The points in the photo above have a "front row" and a "back row". 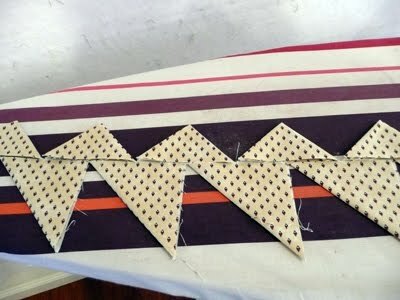 If this is how you want them to look, then slip in a few pins to hold them in place as you go. If you want your points to be nested one inside the next, then you will need to flip out the little tips as you go. Then add your pins. See photo below. 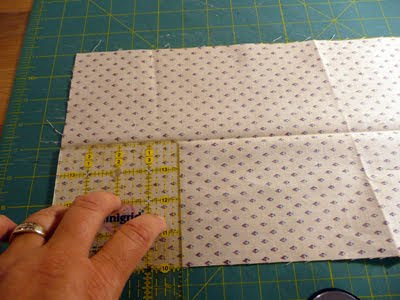 Now all you need to do is take the whole thing over to your sewing machine and stay stitch along the entire length at 1/8". 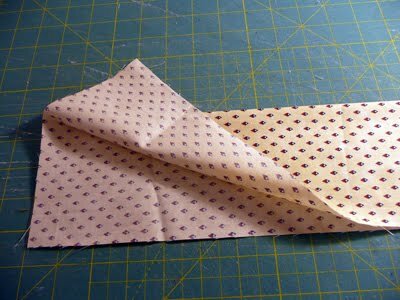 Now how about making prairie points with two different fabrics? Click here for the tutorial. Or lots of different fabrics?? Click here for the tutorial. EXCELLENT TUTORIAL!!! 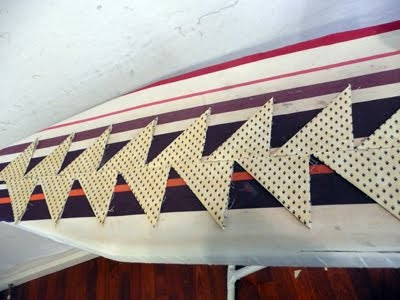 And yeah, I'm waitin' for the new and cuter ironing board cover (not!). Have avoided these in the past because they were labor intensive. I'm so excited now about trying your method; an excellent tutorial that will save a lot of time and look fabulous! THANK YOU! there are a alot of variations on this too! 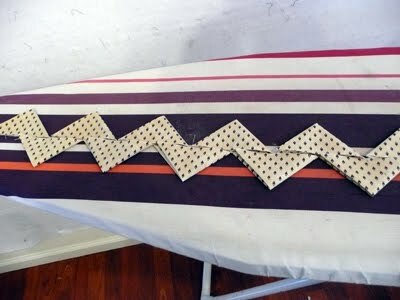 You can sew two strips of fabric-say a blue and a white strip together and make alternating color prairie points! Just divide the specified width in half and a 1/4 seam allowance to each one-e.g. 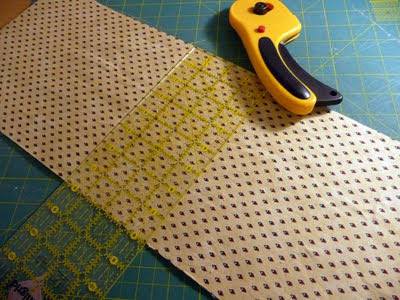 for a 10 strip cut 2-5 1/4 strips and sew them togehter then proceed as indicated. 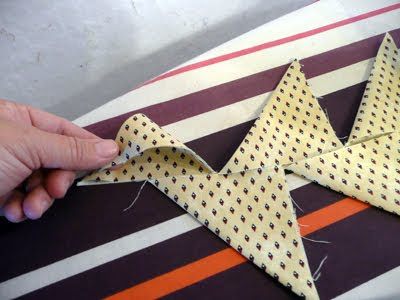 You can also alternate your folds-one from the left then one from the right and nest the next one inside the last. (Sorry I cant explain that any clearer)That gives a little different look to the points and how they lay. Wow! This is cool. I've never seen this done this way before. Thanks. Muito bem explicado! Assim ficou mais fácil. Muito obrigada pelo ensinamento. un tuto muy bien explicado, y con opciones de medidas, muchas gracias. Excellent step by step instructions. Made it so easy to follow. Thank you. I like this so much. Thank you! I've made these and they are easy, but I do recommend some fabric glue to help hold those points in place until you get them stitched. It makes them much easier. I have been looking at these and wondering whether to have a go or not. They look fabulous but they do use rather a lot of fabric. I would always be thinking about what else I could have been doing with all that fabric!!!! Gracias, es un tutorial muy bueno. Saludos desde España (Europa). Just came across this excellent tutorial. I have made MANY prairie points and this is by far the easiest way ever! 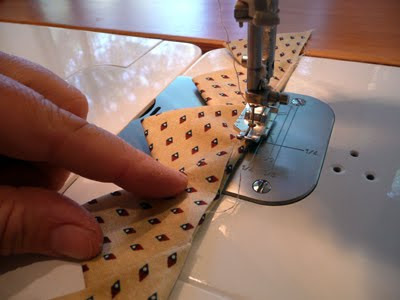 No fabric loss in the process and with your step-by-step instructions and photos to match everything is perfect. The part I love the most is how the points are set in so they are all evenly spaced. Very clever and well-planned out! You are very talented. Keep up the good work! Some people are just so creative!!! Thanks so much for this tutorial! 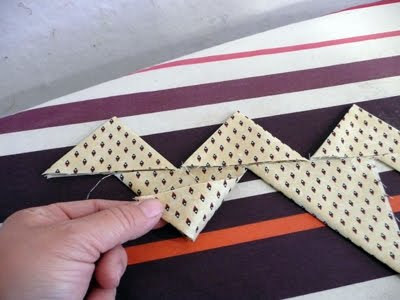 And l thought l was too old to learn this, thank you..there is still hope that a quilt l make will have these!